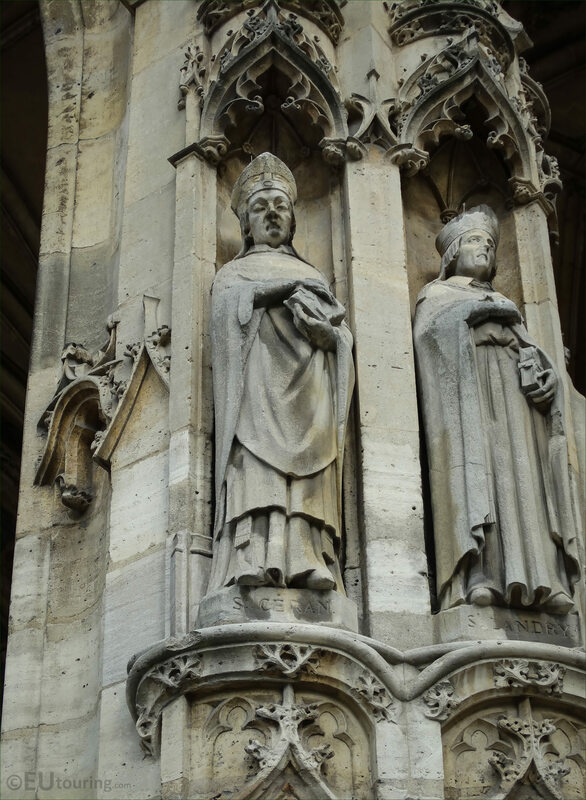 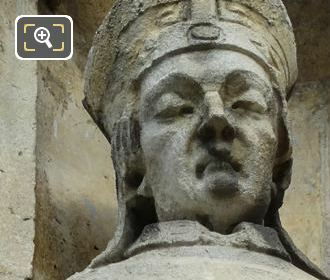 While we were admiring the historical royal parish church called the Eglise Saint-Germain l'Auxerrois in the 1st Arrondissement of Paris, we took these high definition photos showing a statue depicting Saint Ceran, which was sculpted by Louis Desprez. The Eglise Saint-Germain l'Auxerrois is a very historical church located opposite the famous Louvre Museum, and this used to be the parish church for the Kings of France who resided at the palace, yet needed complete renovation during the 1830s and 1840s, which is when these statues of saints were put in place. 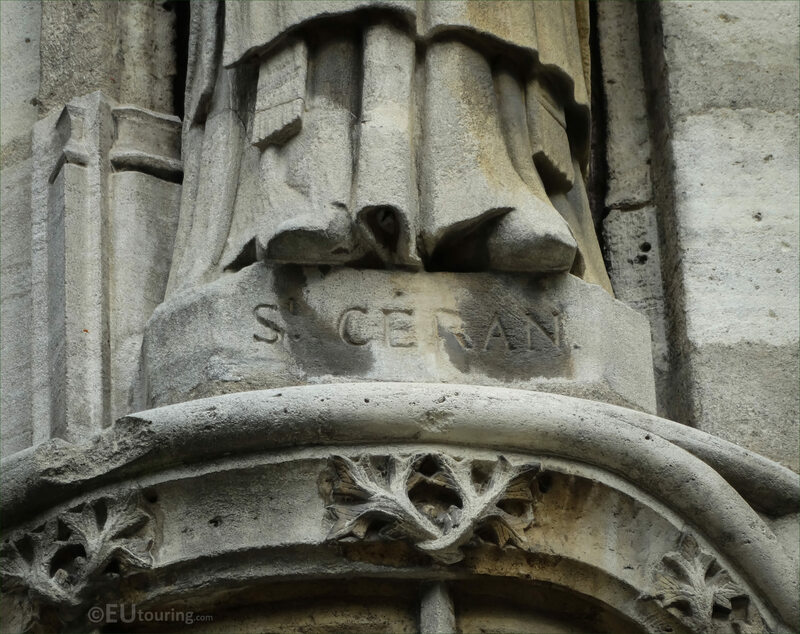 So in this HD photo you can see the sombre detailing that went into producing this statue of Saint Ceran, which was by Louis Desprez who studied at the Ecole des Beaux Arts to become a French sculptor, working on numerous public commissions for different churches in Paris and other famous tourist attractions. 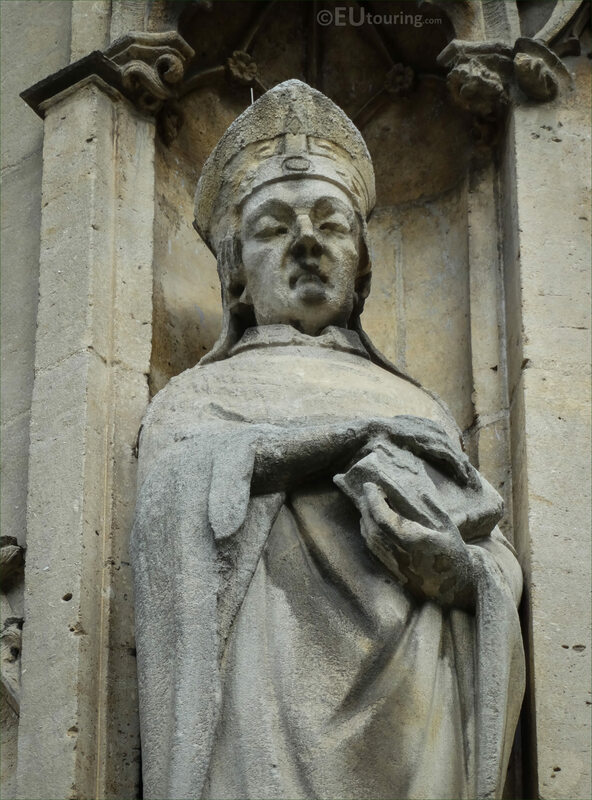 In fact, throughout his career, Louis Desprez gained much recognition and at the request of the Ambassador of France to the Vatican, he worked on a monument at the San Lorenzo church in Italy after winning the Prix de Rome plus received several medals and awards including being decorated with the Legion of Honour in 1851. 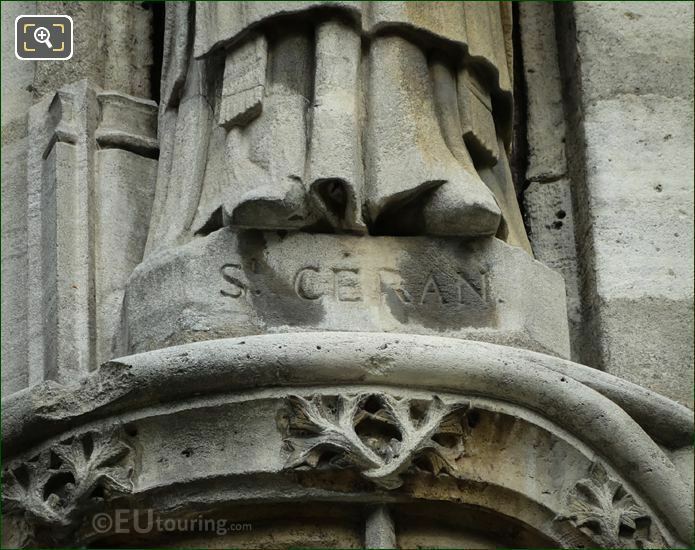 However, this close up photograph shows the pedestal base of the statue depicting Saint Ceran with his name inscribed on it, yet he is also known as Saint Ceraunus and was a Bishop of Paris who died around the year 614, and although his exact year of death, yet alone the exact date is unknown, in Roman Catholic religion the feast day of Saint Ceraunus or Ceran of Paris is 27th September.